Have you been getting this sick feeling in your stomach every time you think about your project for weeks now? Maybe you’ve even hoped for months on end that you’ll be able to catch up with lost time, or that you’ll still manage to save some of your budget? But however you twist it, things look really bleak right now? The good news: You still have a few weeks of 2015 left to save your project from impending doom. And once you’ve done that you can use all your energy to work on your project’s success in 2016. So, what do you have to do? “So…how’s the project going?” – Up until now you’ve been answering this question with a curt “fine” and maybe you even believed it. Stop that right now! Stop sugarcoating. If things were “fine” you wouldn’t be reading this article, would you (unless, of course, you’re just an interested reader of our blog, then please continue reading comfortably)? The quicker you accept that your project has gone off track, the quicker can you start implementing counter measures. Right now, you’re probably wasting too much energy on trying to cover up the problems in your project instead of using it to save it. Set things straight and tackle the challenges heads on! Maybe your client has been suspecting for a while that something’s wrong, or maybe they’re completely clueless. Either way, clear the air. Now. Make your expectations clear and get their feedback. You can only secure your client/sponsor’s support and get the decision makers on your side after you’ve clarified their and your own expectations. Turn your bad gut feeling into quantifiable numbers and data without any embellishments. How much are you behind in your plan? By how much did you overrun your budget? Quickly say goodbye to your “this will somehow turn out alright” mentality. Identify the problems in your project instead and collect all necessary information. You can do this with a professional project management software or with Microsoft Excel. It’s important that all team members are open and honest. Demand precise information and don’t just accept a dismissive “we’re almost done”. You’ll have to get ready to concede one corner of the magic triangle: either you need more budget, time, or you’ll have to decrease your scope. The important thing is that the decision makers and clients buy in to this plan – only then will you be able to make qualified decisions on how to progress with the project. Hence, steps 1 and 2.
a, Is the project organization of your business even qualified to lead a project to success? Or does the problem lie in the system itself? b, Was there a problem with the goal definition? Was the project’s objective unclear or badly defined? c, Are there any factors that prevent the successful implementation of the project? d, Is there a problem with expectation management? Maybe there were too many increasing expectations and too many demands made along the way without sufficient adaptation of time and budget. e, Could it be that your PM method is unsuitable for this specific project? f, Is there a lack of leadership? Did you maybe neglect the management of the project because you were too involved with other tasks? This list could be continued endlessly. At this point it might actually be advisable to hire an external expert who can assess the project from a neutral point of view and keep things objective. Next year, things should be going much better for the project? While a positive mindset is essential, of course, don’t just hope for improvement. The situation is serious and you will have to take different measures to avoid wasting even more money and to still generate some project value in the end. Communicate clearly defined priorities to your team and client(s). Ask upper management to do the same. Define clear steps to bring the project back on track, explain why you set the priorities the way you did and what the expected outcome is. A declaration of intention is not enough. Allocate tasks and demand a careful execution of these tasks. Monitor your data and make adjustments when needed. 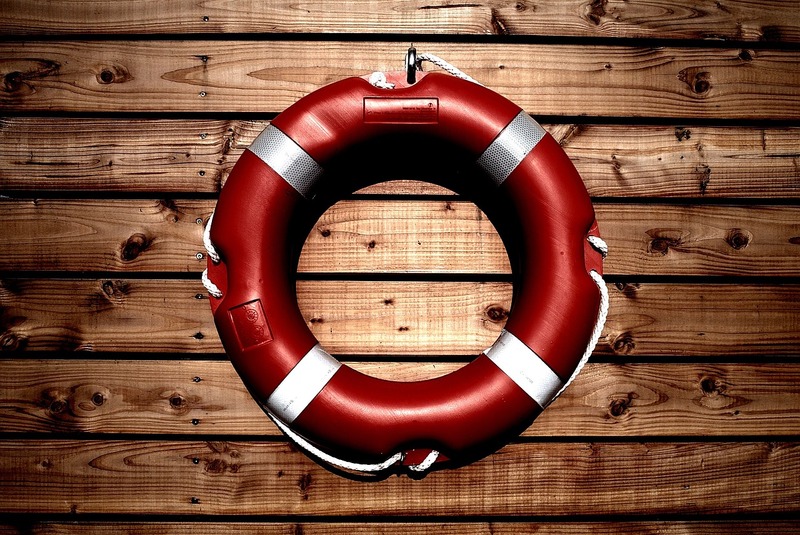 Last Minute Project Rescue: How to Save Your Project Before 2015 Ends - InLoox • Copyright 1999-2019 © InLoox, Inc. All rights reserved.